For the first time ever, people of African descent living in Mexico were able to identify themselves as Afro-Mexican or African descent in the national census. Indigenous (Native to America) people of Mexico are also able to self-identify. The actual population size of both the Afro-Mexicans and the Indigenous Mexicans are still under counted and represented do to the fact that many Mexicans, just as many do in the United States with the category Hispanic/Latino, self identify as white and not Indigenous or black. Mexico has conducted a Intercensal estimate of its population. The Intercensal is an estimate of population between official census dates. The National Institute of Statistics and Geography is an autonomous agency of the Mexican Government dedicated to coordinate the National System of Statistical and Geographical Information of the country. It is the institution responsible for performing the population census every ten years; as well as the economic census every five years and the agricultural, livestock and forestry census of the country. 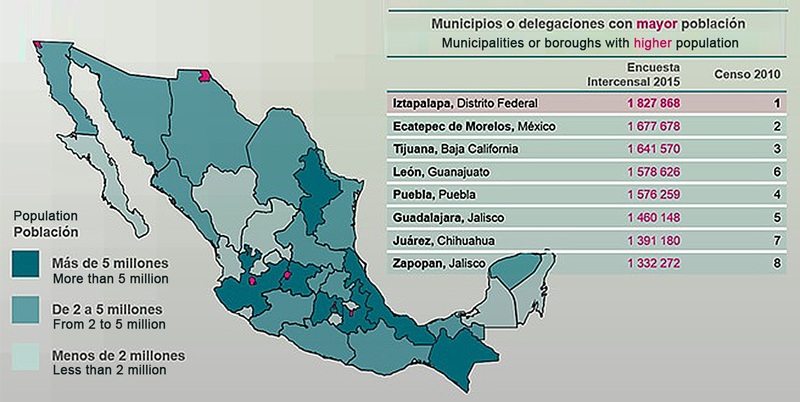 In order to provide information on the size, composition , distribution population in the country , as well as the behavior of the characteristics of the private dwellings ( municipal and federal entity level ) , INEGI conducted the Intercensal Survey 2015 between 2 and 27 March this year. The results show that the estimation of the population to March 2015 is 119,530,753 population; of which 48.6 % are men and 51.4 % women. The rate of population growth , which begins its descent from the early 1970s for the first time in 45 years did not decrease and kept the average annual growth 1.4%. According to their culture , 21.5% of the population is indigenous (Native to America). 48.7% are men and 51.3% women . It is estimated that 6.5% of the population aged 3 years and older speak an indigenous language, ie 7.4 million people; of these, just over 909,000 do not speak Spanish and only communicate in their language. The most spoken language is Nahuatl with 23.4%. Followers Maya and Tzeltal with 11.6 and 7.5 percent respectively. Among the indigenous language speaking population, the total fertility rate is 3.1 children per woman, compared to 2.3 the national average. Of this population, 84.9% are enrolled in a health service; their average schooling is 5.7 years, and 23 percent are illiterate. As for their homes, only 38.4% have running water and electricity 95.7%. According to their culture, history and traditions, 1.2 % of the population is considered Afro-Mexican or African descent. For this group, the total fertility rate is 2.4 children per woman; 8 out of 10 are members of health services, with an average schooling of 8.9 years and the illiteracy rate is 6.9 percent. The population pyramid follows the trend of reducing its base, while continuing the growth both in the center and at the top; meaning that the proportion of children and adolescents has decreased and has increased the adult and older adult; the latter went from 6.2 % in 2010 to 7.2% in 2015. The median age in Mexico is 27 years. The population born in another country and who resides in Mexico amounts to 1,007,063 people. Of these, 428.978 have Mexican nationality. 63 % of children aged 3-5 years attend school , just as 96.2 % of those 6-14 years old, 73% of adolescents 15 to 17 years and 31.5% of young people 18-24 years old are studying in the national education system. The average schooling of the population age 15 and older is 9.1 years, equivalent to have finished high school. Illiteracy among people aged 15 and over amounts to 5.5 percent. Between 2010 and 2015, the proportion of people who claimed to be affiliated or be entitled to health services increased from 64.6 % to 82.2%. Currently there are 98.2 million members and affiliates to any health institution. 97.9% of the population in Mexico has a birth certificate; Only one in 100 people in the country states they do not have a document proving their identity. 73.2% of the working population is employed, 19.6% are self-employed, 3.2% are employers or employers and 2.8% are unpaid workers . 45.1 million working population, 5.3% work in a different federal entity to that of his residence, or even do it in another country . The employed population receiving benefits such as health and housing services increased by 2.4 percentage points between 2010 and 2015, from 62.1 to 64.5 percent. Female headship increased 4 percentage points between 2010 and 2015. Currently a woman is in charge of 29 percent of households. Furthermore, in 4 out of 10 households , at least one person has different monetary income to work, either for social programs , family transfers within or outside the country or retirement. The number of private dwellings to March 2015 is 31,949,709 and its growth rate is 2.4 % annual average. It is estimated that 3.7 is the number of occupants per dwelling. The percentage of households with electricity is 98.7 %, with piped water inside the dwelling 74.1 % with piped water outside the house, but within the field and 20.4 % connected to the public sewage network 75.6 %. 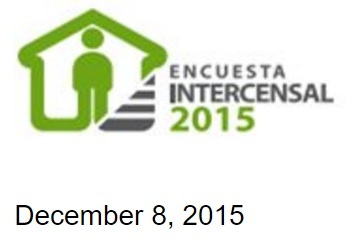 Miguel Cervera Flores, CEO of demographic statistics from INEGI, discusses the results of the 2015 intercensal survey . Vicente Ramón Guerrero Saldaña was a leading revolutionary general of the Mexican War of Independence from Spain. He was of mixed African and Indigenous (Native to America) descent. Vicente Ramón Guerrero served as 2nd President of Mexico. 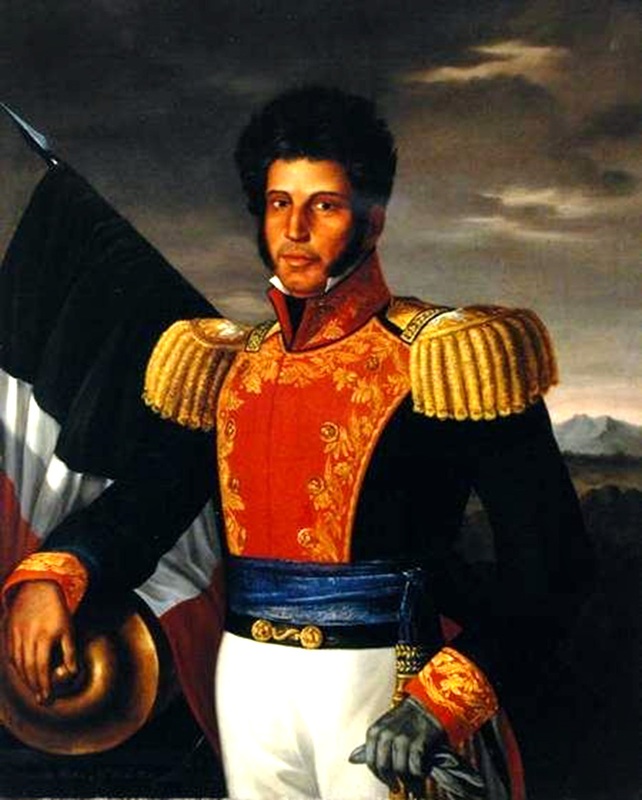 President Guerrero formally abolished slavery, in Mexico, on September 16, 1829. This included the end of slavery in what is now Texas and other regions of what is now the United States, that at the time belonged to Mexico. The United States would again make slavery legal in Texas once it became part of the United States. Guerrero was the grandfather of Vicente Riva Palacio.